Neil has been working with Tier Three for 5 years. Prior to that, he spent 3 years in banking and then developed expertise in business to business operations, sales, and marketing during 6 years with a multinational sales and leasing company. His educational background is in Economics and Marketing, having studied at Concordia University in Montreal. 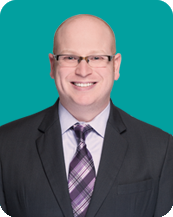 Neil currently works in Ottawa and the surrounding areas on dental practice appraisals and facilitating transitions and sales. When he isn’t working with his dentist clients, Neil loves spending time with his wife and three young daughters. He also enjoys playing golf, hockey, and participating in many other outdoor activities with his family and friends.